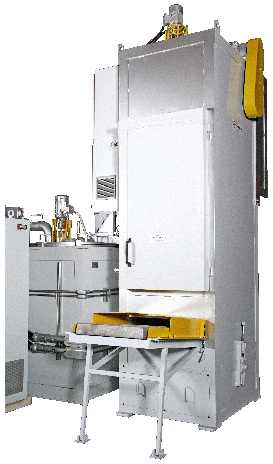 The Metamag® Vertical Magnesium Ingot Preheater appeals to die casters who have limited space and who have trouble accommodating otherwise conventional ingot preheaters. The magnesium Preheater vertical design offers quality construction and durability but occupies only 1.2 m2 of floor space. 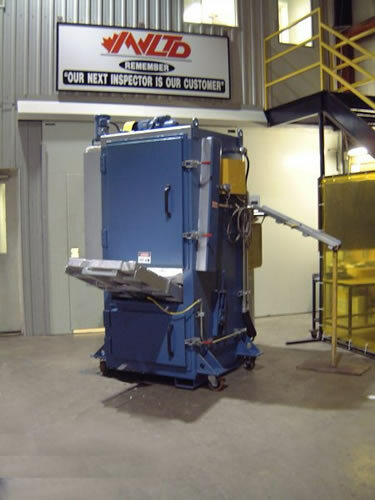 It is perfect for new installations or to replace outdated, inefficient preheaters on cold or hot chamber die cast cells. It also incorporates the long lasting heating system with SCR temperature control. 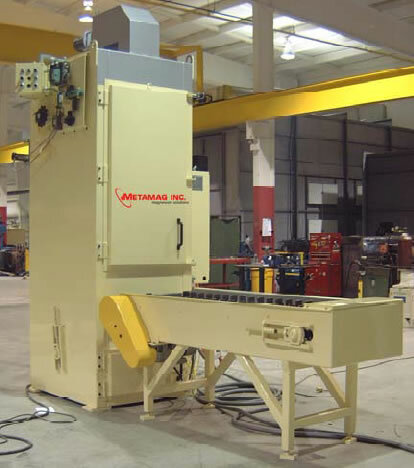 The Metamag® Vertical Preheater comes equipped with a circulating blower that equalizes the temperature throughout the heating chamber. It also includes a level sensing device that automatically charges the ingots when required, at a consistent feed rate. The melt loss savings and improved casting quality make it a must have. This new model will heat magnesium ingots up to 350ºC and can charge up to 1,000 kg. Per hour.